It's been said in other reviews, but you can definitely compare this film to The VVitch. In fact, this movie feels like something of a spiritual prequel or companion piece to that film. The score is incredible and really drives home the dark, brooding atmosphere. It's heavy and kind of gets in your head. I would probably rate this film a 9, but gave it ten to help balance out the one star review by someone with no attention span or conception of how rating something works. I'd recommend this movie to anyone who enjoys slow, brooding horror. 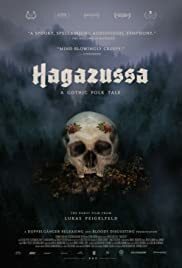 If you enjoy films like The VVitch or The Blackcoat's Daughter, do yourself a favor and check this gem out. You won't regret it.